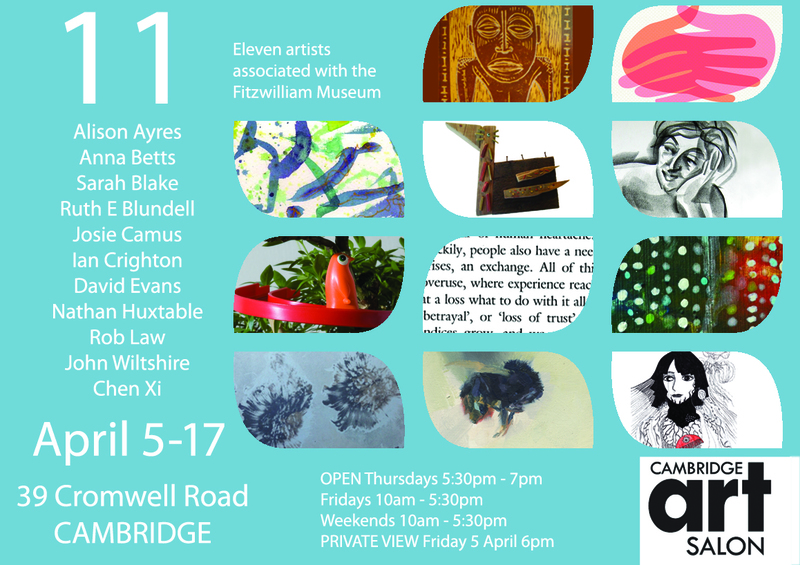 Eleven visual artists who work at the Fitzwilliam Museum are putting together a joint exhibition of their art work for an exhibition in April 2013 at the Cambridge Art Salon. The artists work at the museum in a variety of different jobs from specialist technicians in Antiquities and Applied Art Departments, Educators in the Education Team, Image Management Team and a few of the museum’s freelance artists. 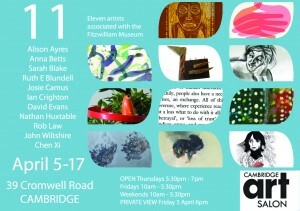 Their work is often inspired by the museum and the fascinating art work and artefacts they work with every day. Artist and Education Officer Sarah Blake says ‘The Fitzwilliam is a fascinating place to work, full of intriguing objects and art and I often find time to draw and paint from the collection, we are a friendly group of artists and get a real buzz from inspiring museum visitors’.